This is a unique shaped natural gold nugget from Costa Rica. My contact buys them directly from prospectors in Costa Rica. 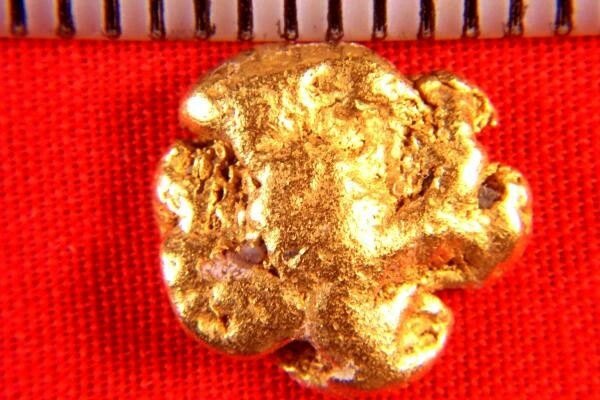 This beautiful gold nugget is 9/16" (15 mm) long and it weighs 3.4 Grams (52.4 Grains.) It has beautiful color and is thin and flat, so it has a large surface area for the weight. It is an investment/jewelry grade gold nugget. 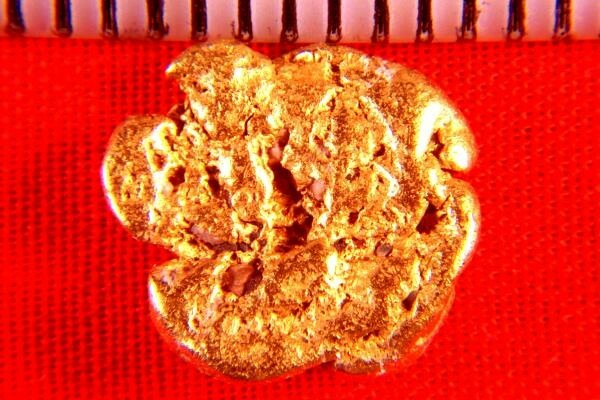 The purity of is 92% to 98% pure gold making these Costa Rica nuggets some of the purest natural gold nuggets found anywhere.